If you suffered catastrophic injuries or your loved one was killed in a large truck or tractor-trailer accident in Alabama, you could be entitled to monetary compensation for your medical bills, lost wages, and pain and suffering. A personal injury lawyer with Farris, Riley & Pitt, LLP can help guide you through the legal process. For more than 20 years, the personal injury attorneys at Farris, Riley & Pitt have represented clients injured on commercial truck crashes in Birmingham and many surrounding areas of Jefferson County. Our firm has secured several multimillion dollar verdicts and settlements on behalf of injury victims. We are committed to helping individuals and families all over Alabama during these difficult and often tragic events. Farris, Riley & Pitt will fight to help you obtain all of the compensation you are entitled to. If you or your loved one has been injured in a truck or tractor-trailer crash, contact Farris, Riley & Pitt for a free consultation. Call (205) 324-1212 right now to have our lawyers provide a complete evaluation of your case. Why Do I Need a Truck & Tractor Trailer Accident Lawyer? Accidents that involve commercial vehicles are much more complex than traditional passenger vehicle claims. Representatives for the trucking company or its insurer will likely contact you very quickly and ask you to sign certain forms or accept a settlement offer to resolve your case. Avoid engaging with these parties until you have legal representation. Despite what the representatives may tell you, many forms victims are asked to sign effectively limit their legal rights. Settlements that these representatives propose are usually only a fraction of what victims are entitled to. By hiring an experienced attorney, you will have a legal advocate who can fight to help you recover the money you will need for all of your past, present, and future expenses. Your lawyer can negotiate a full and fair settlement, and they will be able to file a lawsuit if the trucking or insurance company is unwilling to provide adequate compensation. Farris, Riley & Pitt understands the tremendous financial stress victims face following commercial truck accidents. Our firm represents clients on a contingency fee basis, which means that you will not pay us anything unless you receive a financial award. Why Choose Farris, Riley & Pitt? Our firm has handled several injury cases involving large trucks and tractor trailers. As soon as you hire us, we can immediately conduct an independent investigation that will allow our attorneys to preserve important evidence and determine all negligent parties. Farris, Riley & Pitt can identify the specific cause of your own wreck and work to make sure that all negligent parties are held accountable. Commercial trucks are among the largest vehicles on the road in Alabama. That sheer size makes them incredibly dangerous when they are involved in any kind of accident, which is why commercial trucks are subject to strict Federal Motor Carrier Safety Administration (FMCSA) regulations. Inclement Weather — Rain, heavy fog, and intense winds are just a few of the weather conditions that can make truck driving more difficult. While weather can very likely be a cause, it still does not excuse the driver or trucking company. If drivers are going to attempt to travel in these conditions, they must make sure to operate in as safe a manner as possible. Driving Under the Influence (DUI) — A truck driver in Alabama can be charged with DUI if they have a breath or blood alcohol concentration (BAC) of 0.04, only half the legal limit for drivers of standard passenger vehicles. DUI charges can also apply when a driver operates under the influence of a controlled substance, such as an illegal or prescription drug. Even certain over-the-counter (OTC) drugs can impact a driver’s ability to safely operate a truck. Unsafe Road Conditions — In some cases, an accident could be the fault of a government agency responsible for maintaining a roadway. Failure to correct certain design defects or other known problems could make the agency liable for a victim’s injuries. Violations of Traffic Laws — Speeding is perhaps the most common behavior that drivers engage in, but many other traffic infractions pose dangers as well. Failure to yield right of way, failure to obey traffic signs or signals, or tailgating are all possible causes of truck accidents. Failure to Maintain Vehicle — Trucking companies need to regularly service their vehicles, and drivers must make sure their trucks are safe before taking to the road. The companies can be liable for a lack of maintenance and a third party maintenance company may be liable for improper servicing of the truck. Driver Error — Some drivers simply make bad decisions. If a trucking company failed to adequately train the driver or hired one with a record of driving incidents, then it could be responsible for their actions under the theory of respondeat superior. This theory holds that an employer is responsible for the wrongful acts of an employee. Driver Fatigue — Truck drivers are subject to strict limitations on the number of consecutive hours they can work, as well as the number of hours they work in a given week. When a driver is on the road for a longer period of time, they are much more likely to struggle to stay awake. They are required to keep logbooks to show that they do not exceed their legal work hours, but it is difficult to ensure that drivers are honest and accurate. Defective Parts — If a mechanical component of a tractor-trailer malfunctions, the manufacturer of the part in question could be liable in a possible product liability action. In some cases, the trucking company is held responsible for failure to change the part. Improperly Loaded or Secured Cargo — The trucking company or a third party may have handled the loading of cargo into a trailer, and overloading the vehicle or failing to properly secure the load could cause any one of a number of truck accidents. Cargo can come loose or the load can lead to a rollover accident. Many of these types of cases involve violations of state or federal regulations, and Farris, Riley & Pitt will uncover any such violations to prove the responsible party’s negligence. Contributory negligence is defined as negligence on the part of the victim that proximately contributes to their injury. In Alabama, contributory negligence is an affirmative defense that can prevent a victim from recovering compensation. For this reason alone, people should avoid admitting to any kind of fault following a truck accident, especially when speaking to insurance companies. What should I do if I was involved in a truck or tractor trailer accident in Alabama? The first thing you will want to do is to seek medical care. This is true even if you do not think you were hurt, as some injuries may not be immediately apparent. Any delay in treatment may be used to argue that your injury claims are not entirely legitimate. If you are able, you can take as many photographs of your crash scene as possible from different angles and distances. You will also want to get the names and phone numbers of any witnesses of your accident. When a trucking company or its insurer contacts you, you should refuse to speak to them until you have legal counsel. Contact Farris, Riley & Pitt as soon as possible. How long do I have to file a legal claim related to my truck accident? Alabama Code § 6-2-38 imposes a statute of limitations of two years on all actions for any injury. The same statute of limitations also applies to wrongful death claims. The Alabama Department of Transportation (ALDOT) defines a truck as any vehicle heavier than a light truck or sport-utility vehicle (SUV), such as a delivery truck, 18-wheeler, tow truck, or work truck. The 8,937 trucks involved in crashes in Alabama in 2016 was the highest number in the 10-year period going back to 2007. Interstates were the road type with the most truck crashes in 2016, as the 2,461 accidents on interstates accounted for 27.5 percent of crashes. They were followed closely by city roads with 2,269 or 25.4 percent of crashes. Most fatalities involving trucks, however, occurred on state routes, accounting for 58 deaths, or 36.9 percent. In 448 or 5 percent of accidents, the cause was unknown, and all other causes combined to make up the remaining 1,714 or 19.2 percent of crashes. Farris, Riley & Pitt has more than two decades of experience handling complex personal injury claims. Our firm knows the lifetime of challenges that commercial truck victims face and we work tirelessly to help them obtain the compensation they need and deserve. Were you severely injured or was your loved one killed in a truck or tractor trailer accident in the greater Birmingham area? 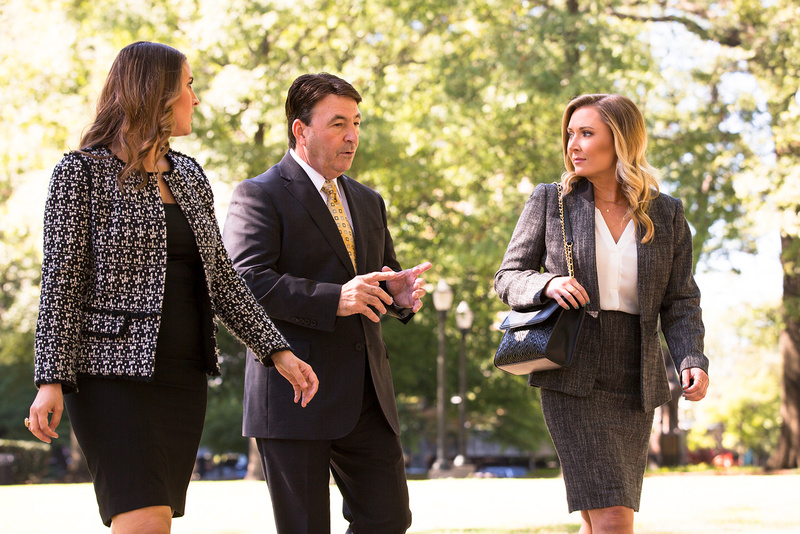 Let Farris, Riley & Pitt review your case and answer all of your legal questions during a free consultation when you call (205) 324-1212 or contact us online today.